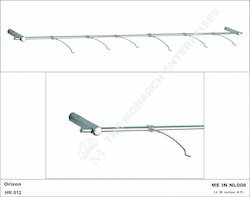 We are MANUFACTURERS, EXPORTERS AND IMPORTERS of Optical Non Lockable Display Rods. We offer the widest range of Frame and Sun glass Non Lockable display rods, in tune with the current market trends and needs. 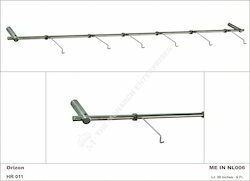 These rods are quality products.They are a perfect idea for a Backwall Display. Fabricated using high quality materials like polypropylene, plastic, extruded, anodized / powder-coated, aluminium / steel / M.S / acrylic / fibre having both style and stability and are in compliance with the prevailing trends of the industry.Our display products are available in different sizes and specifications and in CUSTOMIZED forms. Our presence is well established worldwide. We ship worldwide. Our products are of International quality and design and Internationally competitve in price. We are one of the LEADING SUPPLIERS of Optical Displays and Solutions. We are MANUFACTURERS & EXPORTERS of Optical Display Solutions in India. We provide CUSTOMIZED Solutions. We are known for our Good Quality, Creativity, Reliability and Service. Looking for Optical Non Lockable Rods ?